It may not be surprising that a chiropractor can help one to cope with migraines; however, what may seem odd is that chiropractors can help with hypertension (high blood pressure). It has been confirmed that a specific form of chiropractic care, called upper cervical chiropractic, can indeed help lower blood pressure along with relieving migraines. The Journal of Upper Cervical Chiropractic Research reported on a woman who was 25-years of age who had both migraines and high blood pressure. 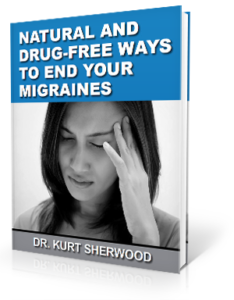 When she began seeing an upper cervical chiropractor, she was taking hydrochlorothiazide to alleviate her migraines. Her blood pressure was reading 134/98 mm/Hg. She was examined and found to have a misalignment in her upper neck vertebrae. During the next 12 weeks, she continued to seek the care of an upper cervical chiropractor two times per week. Her blood pressure reduced to 114/80 mmHg. She also reported not having as many migraines, and the ones she did have were less intense. The Journal of Hypertension reported on a study done in Chicago in 2007. This was a very popular study, being reported on by Good Morning American and WebMD. There were 50 participants who were divided into two groups of 25 each. Over an 8 week period, one group received upper cervical adjustments while the other group had a fake chiropractic procedure. The results? Those receiving upper cervical chiropractic care had a definite decrease in their blood pressure. The other group had no change. A misalignment in the upper neck vertebrae hinders blood flow and communication to and from the brain and body. By using a gentle procedure to move the bones back into place naturally, communication and blood flow are restored. This helps a person to be healthier overall and, as seen in the above studies, can help reduce blood pressure. Migraines have also been helped by upper cervical chiropractors.